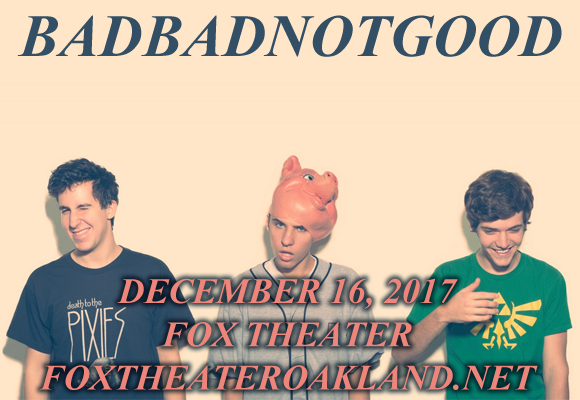 Instrumental jazz-hop cool kids BadBadNotGood are heading out on a mammoth fall and winter tour that sees them stopping in at Fox Theater Oakland on Saturday 16th December 2017! The innovative Canadian five-piece effortless fuse together genres from jazz to ballads, kraut rock to hiphop, to create a sound that must be heard live! Grab your tickets now!